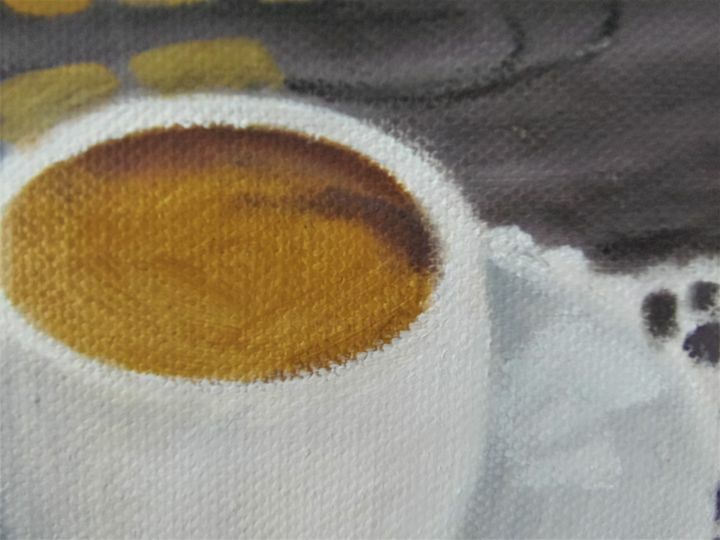 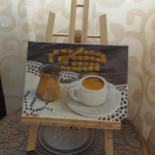 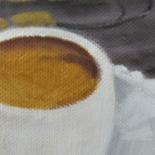 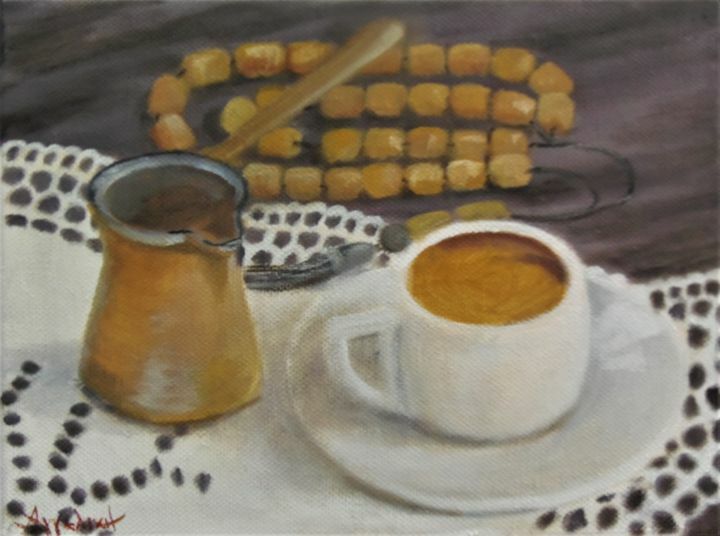 Small painting, depicting a cup of Greek coffee, a traditional coffee pot, which in Greek language pronounced "briki" and worry beads from amber. 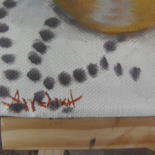 These string of beads is called "kompoloi" and it is manipulated with one or two hands. 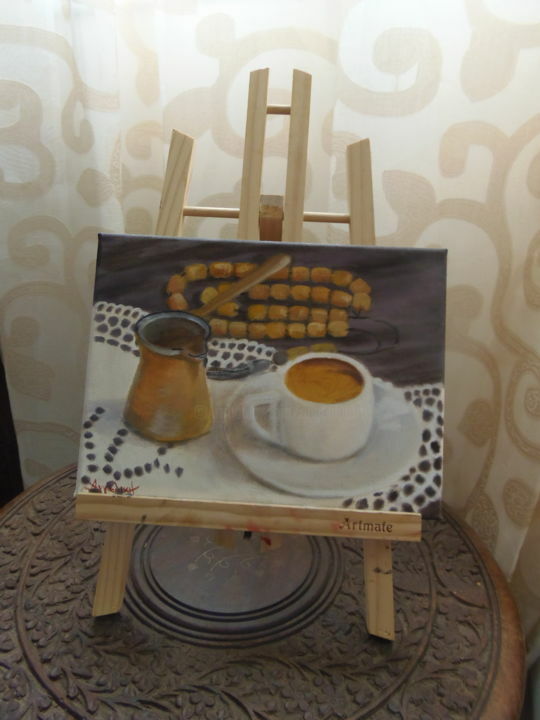 It is a very common object in Greek and Cypriot culture. 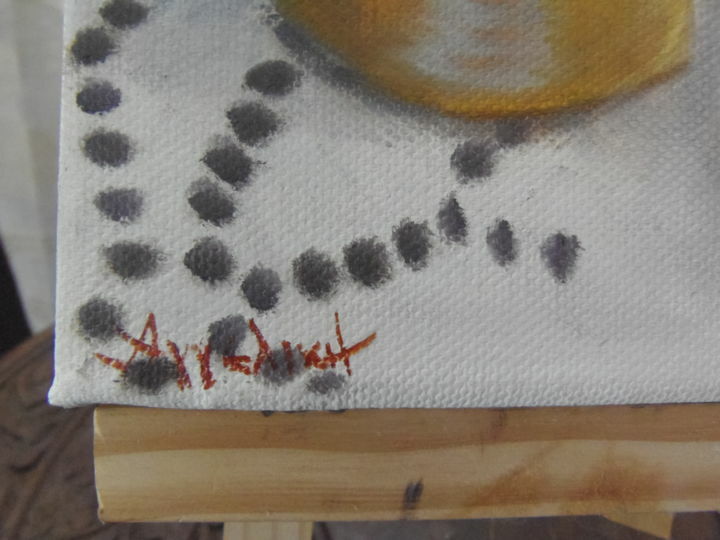 Unlike the similar rosary used in many religious traditions, worry beads have no religious or ceremonial purpose.